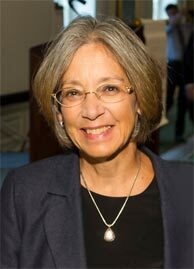 Chief Judge Diane Wood's Keynote Address at SCIPR 2013: "Is It Time to Abolish the Federal Circuit's Exclusive Jurisdiction in Patent Cases?" Chief Judge Diane Wood of the U.S. Court of Appeals for the Seventh Circuit captivated the audience at the fourth annual Supreme Court IP Review (SCIPR) at IIT Chicago-Kent. In her keynote address, Judge Wood recommended abolishing the Federal Circuit's exclusive jurisdiction over patent appeals. The Federal Circuit's interest in uniformity has not been successful, Judge Wood suggested. "Uniformity is great, but what if it's uniformly bad?" Moreover, the Supreme Court would benefit from the "intellectual ferment" created by having regional circuits weigh in on patent issues as they do on most other issues of federal law. Judge Wood's keynote address will be published in the December 2013 issue of the Chicago-Kent Journal of Intellectual Property. Read an advance copy of Judge Wood's speech here. SCIPR 2013 brought together leading Supreme Court litigators from the six intellectual property cases decided this past Term, plus the two IP cases currently before the Court. IIT Chicago-Kent Professors Chris Buccafusco, Christi Guerrini, Ed Lee, Dave Schwartz and Carolyn Shapiro moderated panel discussions or spoke at the conference. For more information and video from SCIPR 2013, visit /scipr. IIT Chicago-Kent will host the first Workshop on Empirical Methods in Intellectual Property on October 11 and 12, 2013. The workshop, jointly sponsored by Chicago-Kent's Center for Empirical Studies of Intellectual Property (CESIP) and the U.S. Patent and Trademark Office (USPTO), will provide scholars engaging in empirical and experimental studies of IP a chance to receive feedback on their work at an early stage in their research. The workshop will include about 25 researchers discussing 12 separate projects. The projects were selected from proposals from more than 40 U.S. and international scholars. Participants include Alan Marco, the acting chief economist of the USPTO; Stuart Graham, the first chief economist of the USPTO; and leading academics from around the country. The workshop is the brainchild of CESIP Co-Directors and IIT Chicago-Kent Professors David Schwartz and Chris Buccafusco. "Before now, it was difficult for researchers to obtain expert feedback on the design of their studies at a time when the feedback would be most meaningful. Feedback is important before a study is conducted, but other scholars typically want to review the results of the study before providing comments. The workshop is intended to fill this key gap in the vetting of empirical and experimental studies of intellectual property law," Professor Schwartz explained. For more information, visit CESIP's events page. IIT Chicago-Kent Professor Edward Lee's latest book, The Fight for the Future, explains how the Internet helped people fight for their Internet freedoms—and do the unthinkable in stopping powerful lobbyists and the entertainment industry in their effort to clamp down on online piracy at all costs. The book provides a gripping, behind-the-scenes look at how people organized the largest Internet protest in history, plus the largest single-day demonstration on the streets of 27 countries of the European Union. The Fight for the Future is available for purchase as an ebook for 99 cents on Amazon and Barnes & Noble. The book is licensed under a Creative Commons Attribution-NonCommercial-ShareAlike 3.0 United States License. For more information, visit http://thefightforthefuture.com. Chicago-Kent IP faculty are among the most productive in the nation. In 2013, the Chicago-Kent IP faculty published or received offers to publish 14 law review articles, six book chapters, five books, and several other publications. The publications covered some of the most pressing legal issues, including copyright reform, criminal intellectual property laws, non-practicing entities or "patent trolls" in the patent system, the concept of patent quality, privacy and data collection, and Internet freedom and the First Amendment. Privacy and Technology: A 125-Year Review, in Then & Now: Stories of Law and Progress (Lori Andrews & Sarah Harding eds., IIT Chicago-Kent College of Law 2013). I Know Who You Are and I Saw What You Did: Social Networks and the Death of Privacy (Free Press 2012, paperback 2013). Where's Waldo? 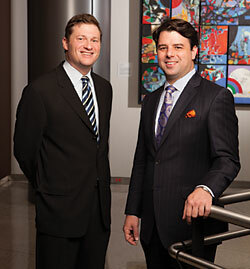 : Geolocation, Mobile Apps and Privacy, The SciTech Lawyer, Summer 2013, at 6. Nuremberg Trials: Lessons for Human Rights, ___ ABA Journal ___ (forthcoming 2013). Privacy and Data Collection, in The Gameful World (S. Walz & S. Deterding eds., MIT Press, forthcoming 2014). Social Networks: Impact on Biotechnology Research, Health Care, and Human Rights, in Biennial Review of Law, Science and Technology: Biotechnology, Health Inequality, and Distributive Justice (Institutum Jurisprudentiae, Academia Sinica, forthcoming 2014). Sculpting Public Policy Through Bioart, in Art et Biotechnologies (E. Daubner & L. Poissant eds., Presses de l'Université du Québec, 2d ed., forthcoming) (with J. Bauman Horne). Well-Being Analysis vs. Cost-Benefit Analysis, 62 Duke Law Journal ___ (2013) (symposium) (with J. Bronsteen & J. Masur). Do Bad Things Happen When Works Enter the Public Domain? : Empirical Tests of Copyright Term Extension, 28 Berkeley Technology Law Journal 1 (2013) (with P. Heald). Innovation and Incarceration: An Economic Analysis of Criminal Intellectual Property Law, ___ Southern California Law Review ___ (forthcoming 2013) (with J. Masur). What's a Name Worth? Valuing Attribution in Intellectual Property Law, ___ Boston University Law Review ___ (forthcoming 2013) (with C. Sprigman & Z. Burns). Then & Now: Stories of Law and Progress (Lori Andrews & Sarah Harding eds., IIT Chicago-Kent College of Law 2013). 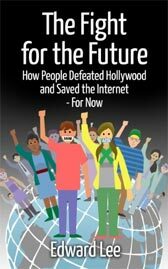 The Fight for the Future: How People Defeated Hollywood and Saved the Internet—For Now (2013). Copyright-Exempt Nonprofits: A Simple Proposal to Spur Innovation, ___ Arizona State Law Journal ___ (forthcoming 2013). The Global Trade Mark, 35 University of Pennylvania Journal of International Law ___ (forthcoming 2014). Trademark Protection and Territoriality: Challenges in the Global Economy (I. Calboli & Edward Lee eds., Elgar, forthcoming 2014). What's a Telegram?, in Then & Now: Stories of Law and Progress (Lori Andrews & Sarah Harding eds., IIT Chicago-Kent College of Law 2013). Trade Secrets: Cases, Materials and Strategies (William S. Hein, forthcoming) (with T. Parkhurst). Standards of Proof in Civil Litigation: An Experiment from Patent Law, 26 Harvard Journal of Law & Technology 429 (2013) (with C. Seaman). Analyzing the Role of Non-Practicing Entities in the Patent System, 99 Cornell Law Review ___ (forthcoming 2014) (with J. Kesan). Back from the Future: Retroactivity at the Federal Circuit, 89 Indiana Law Journal ___ (forthcoming 2014). Patent Assertion Entities (PAEs) Under the Microscope: An Empirical Investigation of Patent Holders As Litigants (with J. Kesan & C. Cotropia) (work in progress). Access to Justice and Technology Clinics, A 4% Solution, 88 Chicago Kent Law Review 695 (2013) (with Andrew P. Medeiros) (symposium). Behavioral Advertising: From One-Sided Chicken to Informational Norms, 15 Vanderbilt Journal of Entertainment and Technology Law 49 (2013) (with R. Sloan). Austin, J. L., in Wiley-Blackwell's International Encyclopedia of Ethics (H. LaFollette ed., 2013). Unauthorized Access: The Crisis in Online Privacy and Information Security (Chapman and Hall/CRC Press, 2013) (with R. Sloan). Beyond Notice and Choice: Privacy, Norms, and Consent, ___ Suffolk University Journal of High Technology Law ___ (forthcoming) (with R. Sloan). Defining Patent Quality, 82 Fordham Law Review ___ (forthcoming 2014).